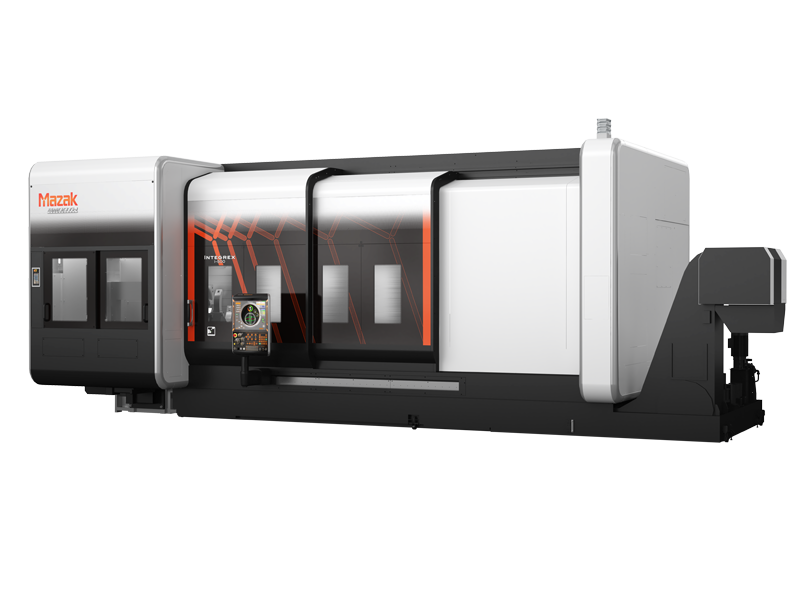 The INTEGREX i-500S is the largest member of the "INTEGREX i" series with the maximum machining capacity of φ 700mm. It is equipped with a high output, high torque main spindle and the newly developed compact milling spindle head which is smaller than comparable machines to provide a larger machining area. The wide range of specifications available for the main spindle, second spindle and milling spindle and other machine units makes it possible to select the most suitable specifications to meet the production requirements of a wide variety of industries.